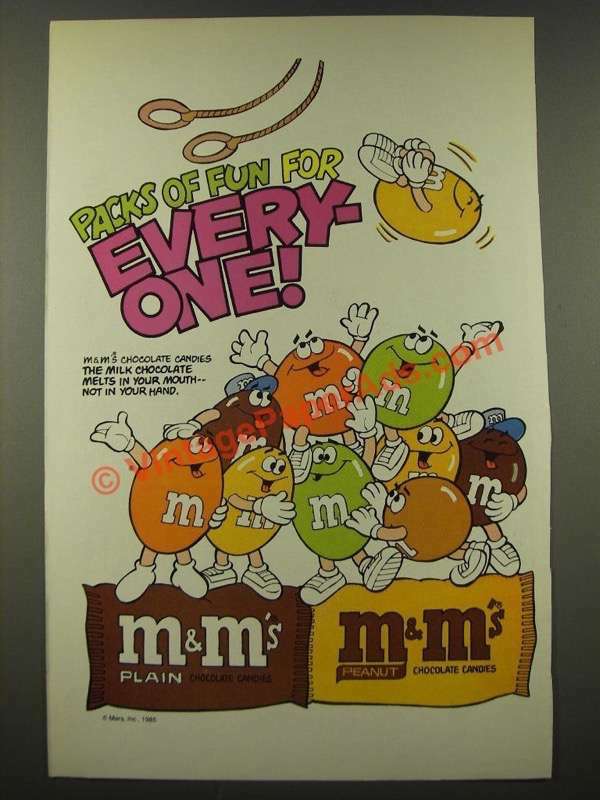 This is a 1986 ad for a M&M's Chocolate Candies! The size of the ad is approximately 6.5x10inches. The caption for this ad is 'Packs of fun for every-one!' The ad is in great condition. This vintage ad would look great framed and displayed! Add it to your collection today! 1986 M&M Candy Ad w/ Characters as a Marching Band!